« Lincoln, Nebraska LPL Ticket Giveaway! Many thanks to David Lowe for this recap video! Living Proof Live Lincoln NE from David Lowe on Vimeo. This entry was posted on Tuesday, June 28th, 2011 at 9:37 am	and is filed under Events, Recap Videos. You can follow any responses to this entry through the RSS 2.0 feed. You can skip to the end and leave a response. Pinging is currently not allowed. What a testimony of God’s love! Thank you for sharing the video and sharing from your heart. I’m praying one day the Lord will allow me to attend one of the Living Proof Conferences hopefully near Oklahoma. Beth…You go girl! in Jesus name! Many intercessory prayers for you…is there a shift going on in your ministry? Please know that the Lord God loves and adores you. He sees what your heart is crying out to do. He will accomplish the impossible. I will forever be grateful to hear that there is a better way. Thanks Beth and her awesome team formally changing this life this weekend! We are always so blessed by seeing the faces of those who were there – from generation to generation. I am remembering especially in my prayers you, Beth, all of the prayer warriors who stood with you in that place and called God’s blessing down on it and on all who came, and the sweet little girl who asked for prayer. wow. what an awesome time in the Lord. Thank you Beth and the whole Lifeway and worship teams. Thanks for sharing. It is always uplifting to me to see the thousands of women that come together to worship the Lord! I know this will be a life changing experience for each one of them. Thanks for letting the Lord use you and for sharing with us! WOW…what a wonderful weekend!!!! The praise and worship was just amazing and the teaching was so great, too!!! THANK YOU so so much for making our weekend BETTER!!! I had a BLAST with you and the 4,000 gathered in Lincoln, Beth!! Our prayers for you to bring a strong Word were answered. I left Knowing Better and will be continuing to seek Him daily. I am so thankful for your ministry, Beth, and look forward to spending time in the Word through your studies. You most definitely brought it, girlfriend, and have most decidedly earned a couple extra shots in your espresso! 🙂 Blessings to you and yours! I’m still reveling in all that I learned this weekend. So much and so good…it takes time to ABSORB…and I am SO thrilled we made it to point 9 because that was one scripture I hoped to hear more about. My hubby & I have been reading a book about heaven and I can honestly say that for the FIRST time in my life…I’m excited to go to heaven…I’m thrilled to MOVE ON in forgiveness and embrace ETERNITY with my SAVIOR! Thanks Beth & the WHOLE TEAM for the ministry you do! We laughed, we cried, we rejoiced, and we walked away renewed! May Almighty God continue to bless you, Beth as well as all of your precious family! I am so grateful for this past weekend. There is a better way and God’s love is more than life. I am on my way to better and freedom in Christ. Thank you so much for a weekend that changed my heart. You are all so precious and loving. I will be processing this all for quite some time. Love to you all. I did not attend the LPL in Lincoln this weekend, but I’ve been attending LPL’s and have been under your teaching the past 12 plus years. As I watch these videos, I am so grateful for His love that has changed this life of mine and I am so thankful for being under your ministry umbrella all these years. What a ride it’s been. You, dear one, are the real deal. You and your whole team. I never have to wonder about that. Thanks for being real in front of all of us. You are loved! And HE is it! Every time I watch one of these recap videos, I’m so struck with the thought that I am watching my sisters (and a few brothers) in Christ…can’t wait to worship with all of you one day in the presence of our sweet Savior! Amen and Amen, Sister! That is EXACTLY what I feel! Praise God for our blessed assurance. Oh, thank you Jesus that we will someday laugh and hug and praise and just BE in Your presence and each-others at the same time! Unhindered by plane fares and temperature shifts and hunger pains and cute shoes that happen to hurt our feet, etc, etc! This video is a praise offering and I am so glad I watched it. Lovely. It was a fabulous time of worship and being taught the Word by Miss Beth! So much to learn…so little time!! Thank you to Beth and her team for being obedient to His calling – we are all blessed immeasurably because of it! My mom & I had a blast with you all in Lincoln!! Just last night, I went through all my notes again 🙂 I pray to live my life “Knowing Better.” So thankful for the opportunity to sit under your teaching. It touched my heart to see Travis lead worship the way he did being as sick as he was. I had the opportunity to attend this weekend with my mom and sisters. All I can say is WOW! It was incredible!! Your teaching was right-on and so spirit-filled. We are so thankful for your ministry. We admire you and love to watch God use you in such powerful ways. Keep up the awesome work! Thank you so much for these clips you place on here. I can’t tell you how they encourage me to see women in worship and praise and really enjoying the Word. Plan to be one of those faces in Charolette,NC. So excited! I love the music too for it is because of Him I am changed. Great video! Cool song! Looks like an awesome group of folks in my home state worshipping the Lord and hearing the Word thru you, Beth. Wish I could of been there!! 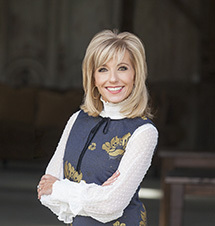 BETH MOORE and troup yawl are AWESOME! I pray that God protects each soul that received His seed and that whatever birds may come, that the Holy Spirit will cause those birds to dine on the abundant fruit! I love all of the big smiles on everyone’s faces! She sees the smiles. I see the one girl crying! What does that say about me? Sheesh! My sis, Mom, and I thought it would be funny to meet you at the airport just because we thought maybe you had just a little bit more to give. :> Anyway, we didn’t. (You might think we were crazy stalkers or something.) We did decided, though, that it would be so totally awesome to be in a classroom setting, maybe 12 or 15 or so, learning from you. It’s a bit difficult to “connect” with 4000. tee-hee. P.S. Love, love, LOVE the photo of the corn at the end of the video. GO CORNHUSKERS!!! My cup is so full and I have so much to process. I was there with my 3 daughters and that was icing on the cake. Better is better and I am so excited to put that truth into practicality in my life. Thank-you Travis and Beth for faithfully leading us to God’s holy throne and mountain. Thank you Beth and LPL, Travis and the praise team, and Lifeway for a great event! We were so blessed and are so much “better”! It was a great weekend, looking forward to Kansas City next year! What a wonderful, wonderful weekend filled with God’s blessings. Thank you for posting this video,watching it felt almost like we were back there again. It was such a wonderful experience to be able worship with 4000 other women. Thank you Beth for bringing us God’s Word… knowing Better is knowing Jesus!! I am really belssed to have been there. How fun to see so many laughing and smiling. Brought a smile to this tired momma’s face. Loved the wknd in Lincoln and “Knowing Better”! Is there any chance we could get a copy of the commission that we stated at the end of the conference? Thanks! I do not have words to describe how much being at this conference meant to me. God is so amazing and He truly spoke to me through Beth’s teaching, the worship music, and the wondrous fellowship. I AM changed because of HIM and I will praise Him forever. I love this video, and the song. Christ is my savior. I loved this and thanks for sharing it. I wish I was there. My mother, mother.in.law, a friend and myself traveled to Lincoln from Kansas to join you last weekend! Thank you for a wonderful time in the presence of the Most High! I took so much away from our trip, mostly: not to compare, but to esteem others before the throne! AND, I learned to love my mother.in.law as a person with a heart that hurts & rejoices much like my own. I thank God for His divine appointment with us and thank you for coming ‘relatively’ close to home. NOW, please come to Kansas!!! Intrust Arena or Hartman Arena in Wichita would love, love, love to host Miss Beth & Travis, et al next year. Beth, we have Starbucks all over the place &&& my birthday is the same day as yours (16th) and I just turned 40 thinking I’m falling apart physically at times, but falling more in love with Him all the time. Thank you for your transparency, for your gifts you share and for the passion you bring by His grace. God bless you this day! …and a good time was had by all. No, a great time. OK, it was amazing! Anytime you put 4,000 women in one place with the Lord on their hearts, He will show up and it will be BIG. And Lincoln was BIG!! I can’t thank you enough for your ministry. Or for taking a moment between changing clothes and rushing off for a plane, to hug your Siestas! What a pleasant surprise! I am still laughing as I recall my mom-in-law’s reaction. She is the Lois whose mother was Eunice. (I’m hoping your remember her) Anyway, when you squished into the group for our photo, you got in immediately on her left. Like a shoulder to shoulder sisterly love. At this point Lois turns to me and says, “They are about to take my picture, and I’m crying!” Just being near you made her feel, I think, that much nearer to God Himself. It made her day and mine, and I just had to share that moment with you. We had such a good time in Lincoln!!! Thanks for the worship and the lessons!! Point #2 stuck out huge for me plus I want to be in front of Mt Zion all the time!!! I esteem all of you ‘better’ than me!!! p.s. Can’t wait till you come to KC next year!!! We drove up from Lee’s Summit, MO!! Thanks to the generousity for two of my friends from my church I was able to attend my first Living Proof Live event, and see my favorite bible study teacher in person :). The Lord used you to speak to where I have been struggling and I want to thank you for your service to spread the truth. This was a pivotal start to me getting my focus back on the Lord and not my circumstances. The music, the fellowship, the teaching – AMAZING!!!!!! May all God’s blessing be on each an everyone that made this event happen. Hearing you speak in Lincoln was unforgettable. You have been a mentor to me for many years, all unknown to you. Thanks so much for all your hard work and prayer. I had such a great time getting to know some new friends on the trip – three hours became seven each way due to the flooding. The best times of my life have been spending time with Christian sisters at special events and Beth, you made it even more special. I love you and thank God for you every day! Looking forward to seeing you again in Kansas City next year. I’m a little jealous of the girl crying on that one ladies shoulder. I’ve never felt safe enough to do that with anyone, except my husband once, but he’s a man. I’d like a lady to do that with. Most of them think it’s sort of creepy when an adult woman gets that intimate with another woman. I disagree. I think they just misinterpret it. But right now, it’s just me and God and He’s going to have to do something in the next month or so before my family comes back, or we’re through! Where do you live? I am sure there is a Siesta or twenty here who would let you cry on their shoulder. I would volunteer but unless you live in rural NE Nebraska, I can’t be that shoulder. I will say a prayer for you right now instead! I’m from Moscow, Idaho. I’m pretty isolated. I’ve never seen anyone on here from my neck of the woods. People around here think this blog community is a little too weird, if you know what I mean! I guess I’m a little different than most, or a LOT different! It would be nice to fit in, but right now I live where I’m pretty weird. If you want to know what I’ve been up to on my journey as of late, read my blog: http://www.spaparazzo.blogspot.com/ I don’t get a lot of traffic, so any comments would be awesome! Thanks for praying. If you read my latest, you’ll see I need all the prayer I can get! The weekend was powerful yet full of sweetness. I am digging my heels in on Mt Zion because it is so true, His blood speaks a better word. Thank you Beth for these wonderful messages and for the wonderful excuse to be with my sweet Girlfriends. You, Beth, have given me new eyes when it comes to being friends with women. I was one of those girls singled out and picked on throughout childhood/teenage years; then a corporate woman for 20 some years. This gave me a terrible opinion of women. I have never trusted most, much less formed friendships. I am now involved with an incredible group of woman at our church in Norfolk NE, started as a result of our Beth Moore studies. Our group, opened to all females, is called Girlfriends. A healthy happy group of women who celebrate each other. sigh….thank you! I’m so sorry to ask but can anyone help me find the siesta photo on flicker? so excited for the girls that got to attend in Lincoln. thank you for coming to our state. i am not able to attend because of health issues, but the video encouraged my heart. God bless and keep you. You are loved and appreciated. This Southeast Texas girl was born in Hastings Nebraska not TOOO far from Lincoln. What a blessing to see this video and the beautiful pic of the corn at the end! I cant help but watch these videos with tears in my eyes and praying for all those lives that are touched! I have learned that I am better than bitter never know how much bitter I had in my life until you here it and God is working to make me better…..
Ohhhhh I loved this! Thank you Beth and everyone for blessing us. We’re still on a high from this and our team has planned a re-cap night Friday July 15th where we can come together and share what God showed us through you Beth. We love you and come back ANY time!